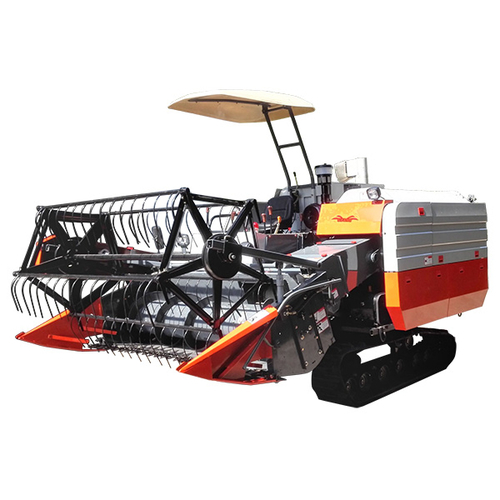 SIFANG brand Combine Harvester Model 4LZ-4.0Z is an improved version based on Model 4LZ-2.1Z The threshing system is improved with longitudinal axial threshing device. The stepless viable transmission is adopted, it can be operated easily with one control rod for steering and lifting up and down. The big grain tank is equipped with automatic unloading device. The engine is more powerful with turbocharged system. It can pass to another field easier with wider rubber track, higher ground clearance and low ground pressure.